SO – IL’s first book, “Solid Objectives: Order, Edge, Aura” is a visual and textual manifesto and a collection of built and unbuilt projects, texts, processes and experiments from the firm’s first eight years of work (2008-2016). On May 21 at 4pm, SO – IL’s Florian Idenburg and Jing Liu will discuss the book’s conceptual themes with photographer Iwan Baan and Johnston Marklee’s Mark Lee at Arcana Books. In advance of the Los Angeles book launch, the LA Forum talked to Idenburg about the book’s design process and the firm’s interests in interconnected spaces. The new book is an expression of SO – IL’s interest in an “interconnected environment”, which is in turn reflected in the book itself, conceived as a thoughtful sequence of spatial events, filmic frames, and experiments. How did you approach this monograph and what can it illustrate about SO – IL’s design methodology? First of all, we did not want to approach the book as a traditional monograph, with our projects ordered in some sort of way – in time, or location or such. 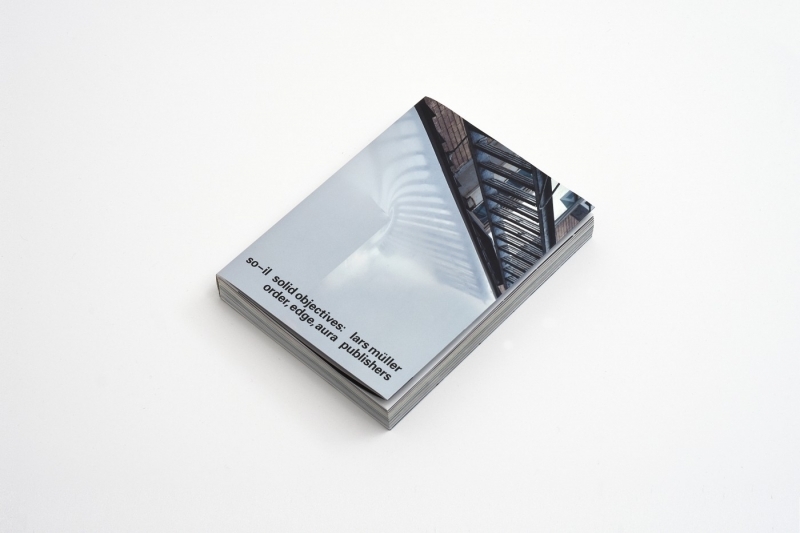 We wanted to have the book approximate an architectonic experience, as if you are moving through space. The book is organized around three points of gravity, order, edge and aura. Order speaks about organization, the way in which solid and void enables and disables actions to occur. It speaks about organizational attitudes. Edge speaks about the space where these organizations touch their situation or site. It speaks about the interfaces, thresholds and frames. The last part speaks about the material presence of the architecture. Elements of our projects are organized around these three poles. The book is also very tactile, it was important to us that the tectonics of the book were also considered. This trajectory from order, to edge and then aura is interspersed with a number of texts, both long and short. The long ones describe a project in detail, the short ones are reflections on architectural issues. Together it could be understood as an attitude towards architecture. In an excerpt from the book published last year in the Architect’s Newspaper, you advocated for the reclaiming of interiors as public space. What is architecture’s role within this “collective interiority”? Architecture should enable events to happen. Function is merely a currency to buy space. But function hardly occurs as envisioned. It changes constantly. Architecture therefore should not be about allocating program, but should be about how it enables people to act / be in space. With regards to the interior, architecture could be more accommodating of a collectivity, for instance in how we envision spaces in which work and dwelling happens. Given SO – IL’s international background, how has opening a practice in New York impacted the firm’s trajectory? Imagining an alternate reality, in what ways would the firm’s work be different if you had chosen Los Angeles instead? L.A, like, New York, is a very international city. One could argue that New York is more looking to Europe and LA more to Asia. We operate everywhere, but I would argue that New York is more ‘civic’ and L.A. more environmental. The transformations currently taking place in LA are very interesting, and could make L.A. a model for many global cities, as it wrestles through combining a more environmentally conscious sprawl city with a walkable and dense downtown. We are very interested in working in L.A. and even toy with the idea of having an office. A lot of our work uses membranes and lighter materials, that are more suitable to the L.A. environment, so who knows, hopefully in the future we get a chance to further explore some of these ideas.